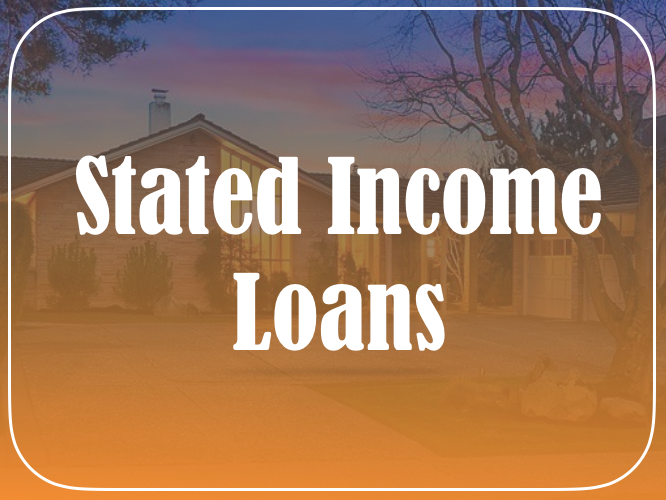 Stated income loans differ from full documentation loans, which require the borrower to verify his income by providing bank statements or similar asset documentations. In short, the borrower does not need to show their income tax returns, W-2 (employee income) forms, 4506T, pay stubs, or other such records to the lender. Although in the short term they can help a borrower save time and receive funds faster, it may cost more in the long run. A SIVA loan requires the borrower to verbally state his income, assets, and employment. His assets, which must be verified, must be high enough to qualify for a mortgage and satisfy the required debt-to-income ratio. During application time, neither income nor assets are verified for a SISA loan. Stated income loan lenders offer borrowers who are flipping a property to sell. Also, stated income loan lenders provide this loan for borrowers looking to purchase another rental property. Borrowers who are flipping a property to sell need a loan to get through the remodeling stages before they sell. On the other hand, borrowers looking to purchase other rental properties do so to better their cash flow. Furthermore, others use the loan temporarily. Some investors would rather use loans to keep portions of their own capital to use for other investments rather than use up all their cash to purchase properties. For example, they may have a big cash advance coming at the end of the year but cannot afford to pass up on certain investment properties. Stated income loan lenders may require the borrower to pay a premium due to the uncertain nature of the loan. While the aforementioned stays intact, there are alternative new methods to verify an individual’s income. For instance, under the “bank statement loans” method, a lender may ask a borrower for 12-24 bank statements, business bank statements, and even both. Then, the lender may scrutinize the deposits and average out the statements given to them. They can ask the borrower to provide them with a Profit and Loss Statement, which summarizes the revenues, costs and expenses incurred during a fiscal quarter or year. The borrower can choose not to disclose their statements or employment but rather showing the lender their assets. This method requires the borrower to have a good amount of liquid assets. The lender, in this case, would use a certain calculation to verify whether the borrower qualifies for the mortgage. Why you should choose 3CALoan? Stated Income loans are growing compared to hard money loans. The latter are specialized collateral-backed loans with high interest rates and short terms of around one year. Unlike hard money, when it comes to building a real estate portfolio, stated income loan lenders give borrowers more flexibility. 3CALoan has developed a comprehensive mix of highly customized stated income loans to help maximize a client’s return. All of our stated income loans are offered at competitive rates. Hence, owners and investors can spend less on interest and fees to turn a bigger profit from their investment. Smaller commercial complexes, such as strip center, retail building etc. One to four units, apartments, residential, commercial, mixed use etc. Our competitive rates, efficient services, and talented team can help ease the process of purchasing a home. We like to make sure our clients are well-informed and educated about every step of their home buying process. Our excellent quality services are reflected on our client’s happiness and confidence upon closing a deal. To find out more information about FHA loans and how we can help, contact us at (818) 322-5626.